Its summer vacation and you’ve got the camera out. Well, maybe not your camera. A decade ago when my son was a toddler I toted around a clunky camera everywhere I went. Back then my cell phone didn’t even take pictures, so my only hope of capturing those memorable moments was with an actual camera. Sometimes I even brought along the one that uses actual film – the kind a lab has to process. It’s much easier now to take pictures with my sleek little iPhone. That said, they tend to stay in that little iPhone, only making their way as far as Facebook or an email to grandma and grandpa. Instead of relying on myself to download and print the pics, I thought why not just make a kid-created picture album. This vacation journal activity offers your child the chance to combine literacy and art while creating a lasting memento of your family’s trip. Start the art-making before you go away and bring the journal (plus markers or crayons) everywhere that you go! · Cardboard- Reuse the front and back of a cereal or cracker box. 1. 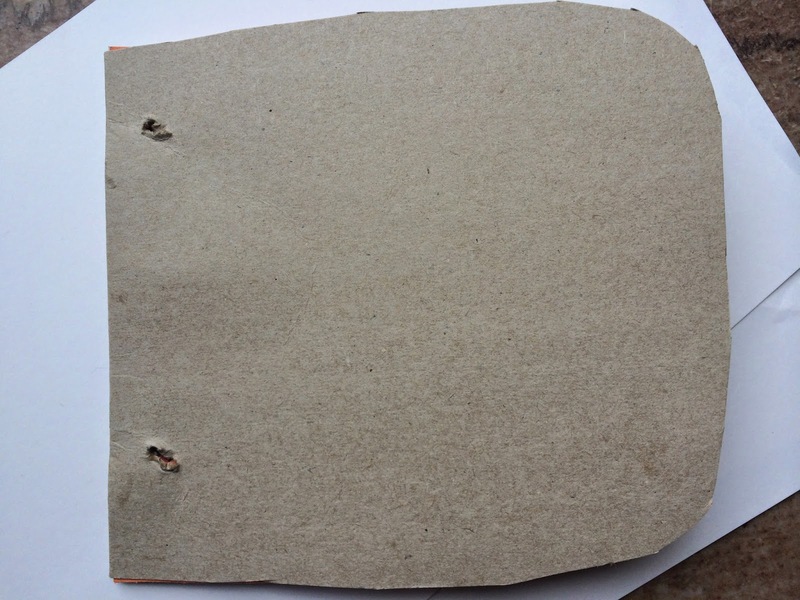 Help your child to cut out a cover and back from the cardboard. 2. Using the cover as a template, cut the construction paper to fit inside. 3. Stack the book – cover, construction paper pages, back – and punch two holes (one at the top and one at the bottom) of the left side. 4. Secure the book together. Thread half a pipe cleaner through each hole. Leave a little slack so that your child can open the book, and twist to tie. If you’re worried about your child poking herself with the sharp ends of the pipe cleaners, use yarn or ribbon instead. Stop here and take the book on vacation. Honestly, if your child decorates the cover now it will deteriorate during the trip. Don’t spend your time off listening to whines over lost pom poms or wet tissue paper. Wait until you get home to have her jazz it up with a mini masterpiece that features a scene from vacation. Bring a baggie with pens, pencils, crayons or markers wherever you go and let her add to the pages. 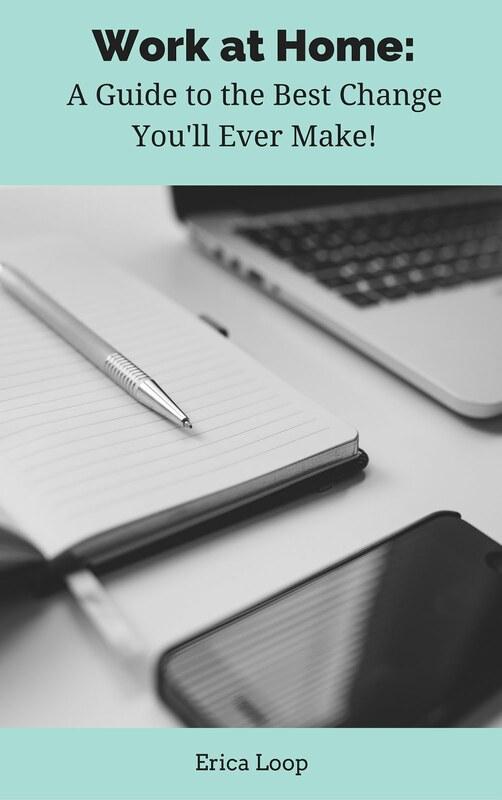 You can also bring a few extra sheets of paper to make new pages if necessary. Simply untie the pipe cleaners, yarn or ribbon and place the new sheets in. When you get home have her decorate the cover any way she wants. Another option for the cover is to bring home a few vacation mementos to collage on. Glue on cleaned sea shells, a ticket from a play that you saw or anything else that she brought back with her (within reason of course!). 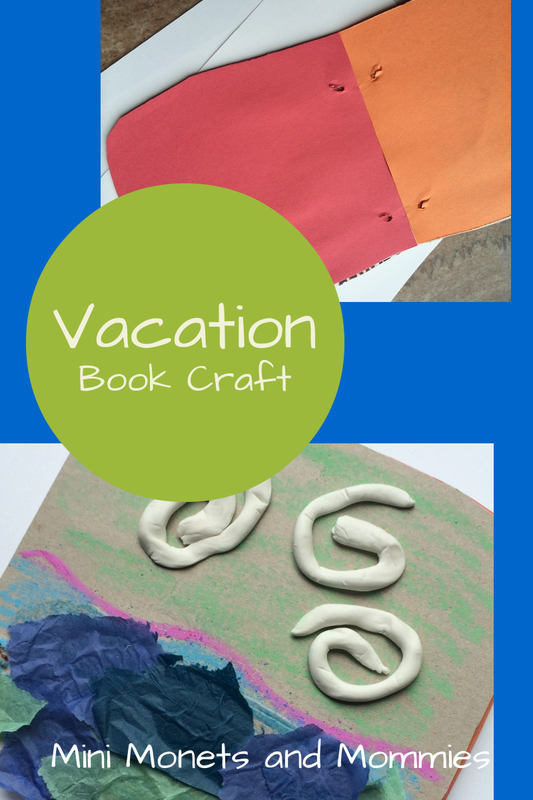 Are you looking for more creative kids' crafts? Check out and follow my Pinterest board for more ideas! I had one in late elementary school, so I thought it would be fun for the younger kids as well! You will! And it's great to get the ideas ready for when the little one is too. You always have great ideas :] I'm always looking forward to your posts ...and so is my two year old lol He will love this! Thanks! This one is great for kids of all ages, and can grow with them. Stopping by from KC Edventures link up - this is a great idea!! Kids' Glitter Paint Project: Freezing Art! Mother's Day Kids' Craft with Plants! Kids' Nature Art Activity: Painting With Plants!